The ink is nearly dry on our full 2018 Annual Report, and we are eager to share just a handful of ways that supporters like you had an enormous impact on people’s lives last year. But before we dive too quickly into facts and figures, let’s take a moment to remember that every number on this page represents a person—someone who may have been hurting. Sick. Pushed to the margins and forgotten. And that they matter. Their stories bring these numbers to life and show the hope you can bring to people who are suffering. The numbers below represent mothers like Janet in Uganda, who is rejoicing the birth of her daughter after an emergency C-section. They capture the story of Amina, a Rohingya refugee who relies on the nearby medical clinic to provide loving care to her grandsons and herself. And these numbers show that people like Rasha are having a valuable impact on their communities by serving as Refugee Outreach Volunteers. We’re excited to share our full 2018 Annual Report with you very soon. Until then, here are 8 incredible things you helped accomplish last year. From Bangladesh to Uganda. From people suffering acute illnesses to volunteer teams that teach improved hygiene practices. From newborns to the elderly. 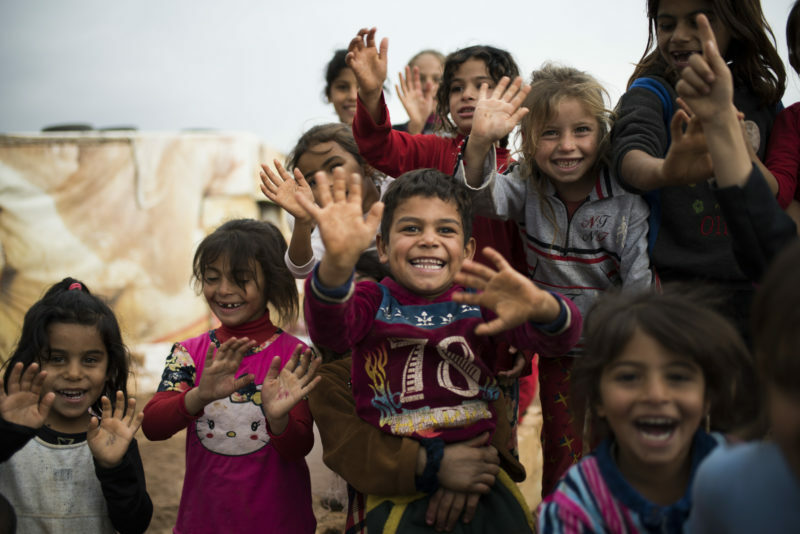 From refugees crossing borders to those who live in hard-to-reach communities. The efforts of our donors, partners and front-line teams resulted in 3.85 million lives impacted in 21 countries in 2018. One of our core motivators as an organization is the belief that restoring health is the first step to restoring hope. Healthy newborns have a better chance of surviving childhood in a harsh environment. Healthy children are more likely to attend school and reach for their dreams. Healthy mothers are better able to care and provide for their families. But without medicines, supplies and help from medical professionals, staying healthy can be a insurmountable challenge in many places where we work. Thankfully, 3.85 million people now have hope for a healthier future. They crossed borders, having been driven from their homes. Many were sick, injured and afraid. Their past full of pain and their future uncertain. But you helped welcome them. You helped them know that they matter. In some places, Medical Teams staff are the first ones to welcome newly arrived refugees. They provide loving care—identifying illnesses, helping people access appropriate treatments, intervening so that malnutrition can be reversed. 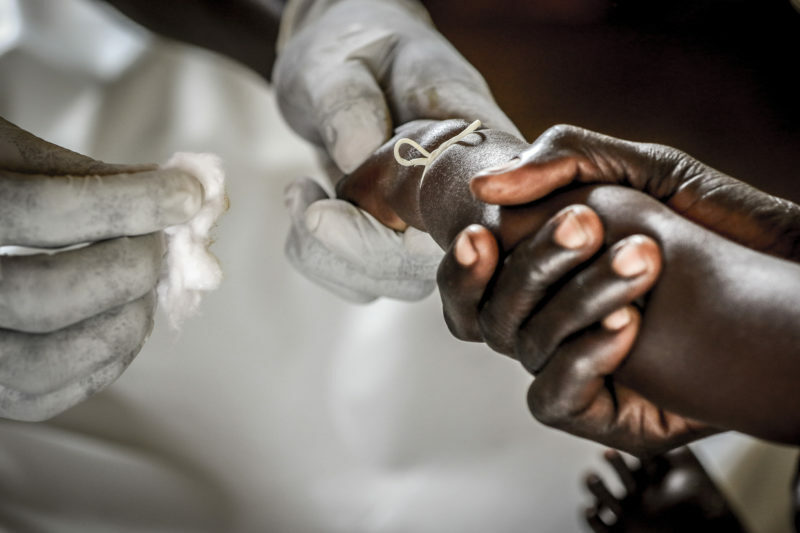 Not only do these measures begin the healing process for individuals who have endured trauma, they also help protect the larger community—serving as a first line of defense against the threat of epidemics like cholera or Ebola. International volunteers play an essential role in responding to crises. Medical Teams maintains a roster of skilled and specially trained volunteer humanitarians who are ready to deploy quickly when urgent needs arise. In 2018, we sent 12 teams to serve Rohingya refugees in Bangladesh. They cared for the sick and injured, trained local doctors and nurses and personified what it means to dare to love like Jesus. Without the right nutrition, babies struggle to gain weight. When they’re malnourished, pregnant women and nursing mothers have a difficult time staying healthy and sustaining another life. Malnutrition isn’t always a simple case of a lack of food—often it has underlying health causes. Unclean drinking water that leads to diarrhea. Parasites that deplete a child of essential nutrients. Misinformation about the importance of breastfeeding. Our teams screen both children and mothers for malnutrition. And then they do what it takes to help them recover—whether treating their illness, helping procure emergency foods, or giving them guidance on improving their nutritional intake. For many people across the Pacific Northwest, dental needs can cause dread. With no way to pay for or access treatment, they are often forced to live with excruciating tooth pain. That’s where our fleet of Mobile Dental Vans comes in. Last year a dedicated team of volunteer dentists, hygienists and assistants held 1,396 clinics in Oregon and Washington, bringing welcome relief to over 19,000 veterans, immigrants, low-income families, people experiencing homelessness and others for whom dental care was out of reach. Imagine being sick or injured and visiting a health clinic only to find that there are no supplies to treat you. That’s the reality facing far too many suffering people around the world. In 2018, you helped change that in 16 countries. Generous companies donated $27.3 worth of urgently needed medical supplies, and faithful donors paid the shipping costs to make sure clinics were stocked with the tools needed to save lives. From bandages to sterile surgical equipment, sending medical supplies helps fill crucial gaps in health care so that doctors, nurses and midwives can care for their patients. Last year alone 1.5 million people around the world were helped by these medical supplies. You might be surprised to learn that our largest pool of volunteers come from the communities where we work. 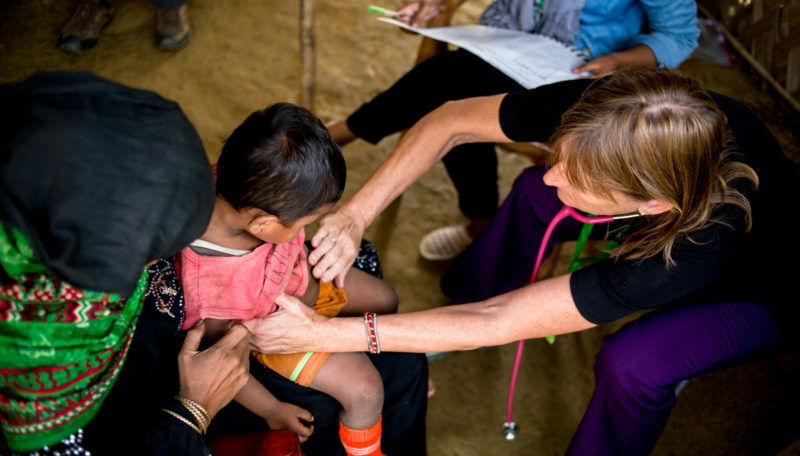 Community Health Workers and Refugee Outreach Volunteers are specially trained to reach out to their neighbors, spot diseases, provide invaluable health information, help people in their community access medical care and ultimately save more lives. International volunteers deploy to areas facing crises to support, train and equip health teams on the ground. And in the U.S., local volunteers give generously of their time to sort and pack medical supplies, serve in administrative roles and provide urgently needed dental care. When a large wave of refugees began to flood into western Uganda in early 2018, the Bill & Melinda Gates Foundation generously dedicated funds to Medical Teams International’s response. This vital grant allowed us to hire new staff and quickly provide life-saving medical screenings and ongoing care to the tens of thousands of Congolese refugees entering the country. Clinic workers used a mobile app—developed in partnership with Cambia Health Solutions—to automate the reporting of medical data and allow staff to focus on the critical work of providing care during the response. Thanks to these valuable partnerships, the number of deaths due to cholera in the district quickly dropped from 1,000 to zero in one week! Thank you for your generous support of these 8 areas as well as many others in 2018. We look forward to sharing many more stories of healing this year and are grateful for your dedication to make sure that every person knows that they matter. To God and to us. You can read the full 2018 Annual Report, as well as reports from past years on our Financials page.